An Austin woman is charged with animal cruelty after she did surgery on her dog. According to an arrest affidavit, Ana Berta Ayala-Morales, 44, took her dog Precious, a Yorkshire terrier, to the Emergency Animal Hospital Northwest Austin on Feb. 4 because it was having trouble giving birth. A veterinarian there said the dog needed a C-section costing $2,000. Ayala-Morales said she did not the money. The veterinarian said to give the dog fluid then take her to the Animal Trustees of Austin in the morning for surgery. The facility provides low cost veterinary care. The veterinarian also told Ayala-Morales to bring the dog back or call if she had concerns, the affidavit said. Ayala-Morales took it upon herself to do the C-section, according to the affidavit. She used a paint utility knife to perform the surgery. The dog was not given any pain medication. "After removing six puppies from Precious, Ayala-Morales then sewed up the wound with standard needle and thread. Five of the puppies survived," the affidavit said. The next morning the dog was not doing well so she took it to the Austin Humane Society. The dog was then taken to the Austin Animal Center. 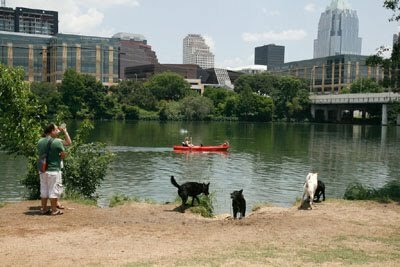 The affidavit explains that Ayala-Morales could have paid the money, gone on a payment plan, wait to take the dog to Animal Trustees of Austin or surrender it since she could not afford the care. Ayala-Morales is not in custody.